Dr. Edward Chu is originally from the Washington D.C. Metropolitan Area where he participated in many different types of sports. From this aspect in his life is where he developed his passion for the way the human body would work and move. His first experience with a chiropractor occurred during these sporting moments. He found through chiropractic and sports rehabilitation he was able to get back onto the field faster and injury free. From that point on, Dr. Chu always knew that he wanted to be involved in the healthcare profession and give back to the sporting community just like the doctors who treated him. While attending the University of Maryland, he always excelled and favored classes that dealt with life and its function. During his undergraduate courses, he attained internships at the National Institute of Health (NIH) in Bethesda, MD and the Washington National Children’s Hospital so that he could continue to learn about the aspects of healthcare. Due to his love for patient care and he decided to continue his pursuit for his Doctor of Chiropractic Degree at the Palmer Chiropractic College West, where he graduated in 2004. 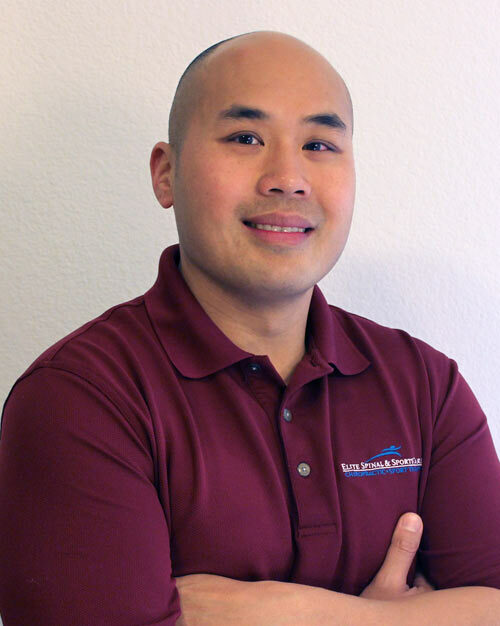 As a practitioner, he best describes himself as a movement specialist who is continuously working/learning to find the best solution for movement disorders of his patients, by addressing other movement patterns that may have been ignored. 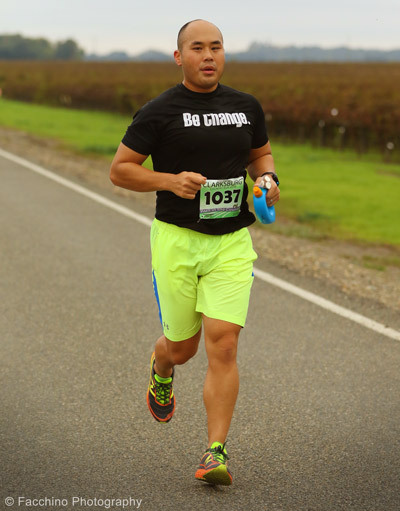 Dr. Chu supporting and finishing local 20 miler, Clarksburg Country Run. Dr. Chu has always tried to maintain a healthy lifestyle and through exercise and diet. He has found that an active lifestyle has proved to be the secret/cause to good health. He maintains his health through Triathlons, Weightlifting, CrossFit, Mixed Martial Arts and Rowing. He is compassionate to all the hard work and dedication that athletes place into their training because he too has gone through the triumphs and failures of training program, competitions and races. To date, he has completed over a dozen half marathons, inspired and suckered into multiple triathlons by Dr. Lau (Sprint, Olympic and 70.3 distances), completed 4 full marathons and continues to work with local coaches to be the best of his own ability at all that he participates in.